Table 1. Demographic and clinical characteristics in patients with ACO, asthma and COPD. Table 2. Receiver operating characteristics curves to predict ACO according to SEPAR-ACO algorithm. We aimed to characterize the clinical, functional and inflammatory features of patients diagnosed diagnosed with ACO according to a new algorithm and to compare them with those of other chronic obstructive airway disease (COAD) categories (asthma and COPD). ACO was diagnosed in a cohort of COAD patients in those patients with COPD who were either diagnosed with current asthma or showed significant blood eosinophilia (≥300cells/μl) and/or a very positive bronchodilator response (>400ml and >15% in FEV1). Eighty-seven (29.8%) out of 292 patients fulfilled the ACO diagnostic criteria (12.8% asthmatics who smoked <20 pack-years, 100% of asthmatics who smoked ≥20 pack-years, 47.7% of COPD with >200eosinophils/μl in blood and none with non-eosinophilic COPD). ACO, asthma and COPD patients showed no differences in symptoms or exacerbation rate. Mean pre-bronchodilator FEV1 in ACO and asthma were similar (1741 vs 1771ml), higher than in COPD (1431ml, p<0.05). DLCO was lower in ACO than in asthma (68.1 vs 84.1%) and similar to COPD (64.5%). Mean blood eosinophil count was similar in ACO and asthma (360 vs 305cells/μl) and higher than in COPD (170cells/μl). Periostin levels were similar in ACO to COPD (36.6 and 36.5IU/ml) and lower than in asthma (41.5IU/ml, p<0.05), whereas FeNO levels in ACO were intermediate. This algorithm classifies as ACO all smoking asthmatics with non-fully reversible airway obstruction and a considerable proportion of e-COPD patients, highlighting those who can benefit from inhaled corticosteroids. Nuestro objetivo fue definir las características clínicas, funcionales e inflamatorias de los pacientes diagnosticados con superposición asma/EPOC (ACO, por sus siglas en inglés) según un nuevo algoritmo y compararlas con las de otras categorías de enfermedades obstructivas crónicas de las vías aéreas (COAD, por sus siglas en inglés) como el asma y la EPOC. En una cohorte de sujetos con COAD, se diagnosticó ACO en aquellos pacientes con EPOC que, además, tenían un diagnóstico actual de asma o que presentaban eosinofilia sanguínea significativa (≥300 células/μl) y/o respuesta muy positiva a broncodilatadores (>400ml y >15% en FEV1). Ochenta y siete (29,8%) de 292 pacientes cumplieron con los criterios de diagnóstico de ACO (12,8% de asmáticos que fumaron <20 paquete/año, 100% de asmáticos que fumaron ≥20 paquete/año, 47,7% de COPD con >200 eosinófilos/μl en sangre y ninguno con EPOC no eosinofílica). Los pacientes con ACO, asma o EPOC no mostraron diferencias en los síntomas o en la tasa de exacerbación. El FEV1 promedio prebroncodilatador en pacientes con ACO o asma fue similar (1.741 vs. 1.771ml), y mayor que en aquellos con EPOC (1.431ml, p<0,05). El DLCO fue menor en individuos con ACO que en aquellos con asma (68,1 vs. 84,1%) y similar al de los pacientes con EPOC (64,5%). El recuento promedio de eosinófilos en sangre fue similar en pacientes con ACO o asma (360 vs. 305 células/μl) y mayor que en los de EPOC (170 células/μl). Los niveles de periostina fueron similares en el grupo con ACO o con EPOC (36,6 y 36,5UI/ml) y menores que en el pacientes con asma (41,5UI/ml, p<0,05), mientras que los niveles de FeNO en el grupo ACO fueron intermedios. Este algoritmo clasifica como ACO a todos los fumadores asmáticos con obstrucción no reversible de las vías respiratorias y una proporción considerable de pacientes con EPOC eosinofílica, destacando aquellos que pueden beneficiarse de los corticoides inhalados. Asthma and chronic obstructive pulmonary disease (COPD) are both common, heterogeneous and usually distinct airway diseases that sometimes overlap in a particular patient. This entity, the so-called asthma–COPD overlap (ACO)1 has attracted attention and triggered debate in recent years as evidenced by the proliferation of reviews and editorials dedicated to the topic.2–7 GOLD and GINA define ACO as persistent airflow limitation with several features usually associated with asthma and other usually associated with COPD, and specifies that ACO encompasses different phenotypes that are likely clinical expressions of distinct underlying mechanisms.8 Although this approach is intuitive, it is also quite imprecise because it does not take into account the relevance of each criterion for the diagnosis of ACO and it may not be useful in daily clinical practice. The aim of this study was to differentially characterize patients diagnosed with ACO according to the new SEPAR's algorithm from patients with other COAD categories (asthma and COPD patients who do not meet criteria for ACO). The characterization was made according to clinical, functional and inflammatory features and, as a secondary end-point, we assessed these variables’ – in solo or in combination – capacity to distinguish ACO from asthma and COPD patients without ACO. This was a multicentre and cross-sectional study. The SEPAR-ACO algorithm was applied in the CHACOS cohort of COAD patients, which has already been the subject of preliminary study.9 Briefly, patients aged >40 years with chronic airflow obstruction (post-bronchodilator FEV1/FVC≤0.70) and a history of physician-diagnosed asthma (non-smoking or smoking asthmatics), or COPD (non-eosinophilic or eosinophilic) who signed an informed, written consent form, were included. Patients had to be in a stable condition, free from exacerbations for at least 3 months. Exclusion criteria included primary bronchiectasis, active cancer (metastatic, progressive, or treated within the last 24 months), chronic inflammatory diseases and poor performance status. The study was conducted in a single visit in which the researchers obtained and recorded all the clinical data into an electronic clinical research database. A blood sample was obtained to determine the number and percentage of blood eosinophil and quantification of immunoglobulin E (IgE). All investigators were asked to prospectively recruit 12 consecutive patients with COAD from their clinics: 8 belonging to the non-eosinophilic COPD and non-smoking asthma categories, and 4 belonging to the other two (Fig. 1). The study was approved by the Research Ethics Committee of the Balearic Islands (Cod: IB2499/15). Additionally, an independent Ethics committee or institutional review board for each study centre approved the final protocol. Chronic obstructive airway disease (COAD): patients with a FEV1/FVC post-bronchodilator <70%, regardless if it comes from COPD or asthma. Asthma was diagnosed according to international guidelines,8 and was classified as non-smoking asthmatics (NSA): asthma patients -non-smokers or ex-smokers- with smoking history of <20 pack-years; or smoking asthmatics (SA): asthma patients with smoking history of >20 pack-years. ACO. Patients classified as ACO according to SEPAR-ACO algorithm10 (Fig. 2). SEPAR-ACO algorithm for ACO diagnosis. More detailed information about data management, pulmonary function tests, fractional exhaled nitric oxide (FeNO) measurement and sputum induction can be found elsewhere.9 Periostin blood levels were measured using a streptavidin-HRP ELISA commercial kit (DuoSet® ELISA, R&D Systems, Minneapolis, MN, USA), according to the manufacturer's instructions. Categorical variables were summarized by means of group counts and percentages, normally distributed continuous variables by the distribution mean and Standard Deviation and non-normally distributed continuous variables by means of the median and the inter-quartile range. One-way ANOVA was used to compare normally distributed continuous variables between the 3 clinical categories. Non-parametric Kruskal–Wallis ANOVA was used for continuous parameters without a normal distribution, while Chi-square test was applied to compare group proportions. Student's t tests, Mann–Whitney U test and Chi-square with the appropriate Bonferroni correction were used for pair-wise comparisons. The ability of all the studied parameters and their combinations to discriminate between ACO and the other categories was assessed by estimating sensitivity, specificity, positive and negative predicted values, Youden index (Youden index=sensitivity+specificity−1), the corresponding ROC curves and the 95% CI's. Two hundred and ninety-two patients with COAD were included in the study: 94 NSA, 89 COPD, 44 SA and 65 COPD-e. Eighty-seven (29.8%) of them fulfilled the SEPAR-ACO diagnostic algorithm (12.8% of NSA, 100% of SA, 47.7% of COPD-e and none of COPD). By definition, all these 87 patients fulfilled criteria for COPD and 56 had a concomitant diagnosis of “current asthma”, 12 showed a “very positive” bronchodilator response and 45 displayed ≥300eosinophils/μl. The interrelationship of the features needed to diagnose ACO according to SEPAR-ACO algorithm is illustrated in a Venn diagram (Fig. 3). Nonproportional Venn diagram showing the interrelationship of ACO's criteria. Asthma means “current diagnosis” of the disease; ++ means “very positive” bronchodilator test. In the whole cohort, the degree of bronchial obstruction was moderate and symptoms were fairly well-controlled as assessed by the CAT and ACT questionnaires. The average number of exacerbations in the course of the previous 12 months was 1.0. Most patients (80%) were being treated with inhaled corticoesteroids (ICS) and almost all of them received a long-acting β2-agonist (LABA). About 71% were being treated with a long-acting muscarinic antagonist (LAMA). Nearly 2% of the patients were receiving oral corticosteroids and 8.9% were being treated with omalizumab. When comparing the 87 ACO patients with the remaining asthma or COPD patients, we found no differences in symptoms or exacerbations. ACO patients were younger than COPD patients (61.4 vs 67.5 years; p<0.001), showed similar atopic characteristics to those with asthma and a smoking habit somewhere in between the other two categories. Mean pre-bronchodilator FEV1 in ACO and asthma were similar (1741 vs 1771ml) and higher than mean FEV1 in COPD (1431ml, p<0.05). On the other hand, DLCO was lower in patients with ACO than in those with asthma (68.1 vs 84.1%) and similar to COPD (64.5%). Regarding to the inflammatory profile, mean blood eosinophil count was similar in ACO and asthma (360 vs 305cells/μl) and higher than observed in COPD (170cells/μl; p<0.01). Periostin levels were similar in ACO compared to COPD (36.6 and 36.5IU/ml) and lower than asthma (41.5IU/ml, p<0.05), whereas FeNO levels in ACO (25.3ppb) were between levels in asthma (37ppb) and COPD (17.4vppb). These results are summarized in Table 1. Demographic and clinical characteristics in patients with ACO, asthma and COPD. Data are mean (SD), median (P25–P75) or n (%); SPT: skin prick test; postBD FEV1: post-bronchodilator FEV1; DLCO: carbon monoxide diffusing capacity; PBD: positive bronchodilator test; VPBD test: very positive bronchodilator test; Exacerbations: number of severe exacerbations during the past 12 months; FeNO: fractioned exhaled nitric oxide levels; CAT: COPD Assessment Test; ACT: Asthma Control Test; p-values from Student's t test for differences between means, Mann–Whitney U non-parametric test for differences between medians and Chi-Square tests for differences between proportions. Bonferroni-corrected p<0.05 in pairwise comparisons: a) ACO vs. NSA non-ACO; b) NSA non-ACO vs. COPD non-ACO; c) ACO vs. COPD non-ACO. Neither a single variable, nor any combination of them yielded enough sensitivity and specificity to accurately identify ACO. The area under the ROC curve (AUC) was <0.7 in every case. Table 2 displays the AUCs for each variable and combinations. When we evaluated the accuracy of the same variables to distinguish between ACO and asthma, and to differentiate between ACO and COPD, the results lacked enough rentability (Table 2). Receiver operating characteristics curves to predict ACO according to SEPAR-ACO algorithm. AUROC: area under the receiver operating characteristics; CI: confidence interval; SPT: skin prick test; preBD FEV1: pre-bronchodilator FEV1; DLCO: carbon monoxide diffusing capacity; FeNO: fractioned exhaled nitric oxide levels; “low” refers to values above the median and “low” to values below the median. Sensitivity, specificity, positive predictive value, negative predictive value and Youden index are provided only in cases with statistical significance. In this study, we have found that SEPAR-ACO algorithm classifies in the ACO category all patients diagnosed with asthma who smoked and developed a fixed bronchial obstruction and almost a half of “eosinophilic COPD”. The definition of “eosinophilic COPD” depends on a somewhat arbitrary cut-off point of blood eosinophil count: 200cells/μl in this cohort of COAD patients and 300cells/μl in the proposed algorithm (it is for this reason why not every patient with “eosinophilic COPD” was classified as ACO). There is controversy about the exact blood eosinophils’ cut-off point that better reflects airway eosinophilia: Negewo et al. observed that patients are unlikely to have sputum eosinophilia if their blood eosinophil count is below 200cells/μl13 whereas Schleich et al. set this point at 162cells/μl to identify a sputum eosinophil count >3% and 215cells/μl in those treated with high dose of ICS.14 On the other hand, Kolsum et al. found that >250eosinophils/μl in blood reliably reflect lung eosinophilia.15 Whatever the exact limits are, it seems clear that eosinophilic COPD appears to be a distinct patient subgroup with a different inflammatory signature15 and a better response to corticosteroid treatment.16,17 It is therefore reasonable to separate this subgroup from “non-eosinophilic COPD” and to include it in the ACO's category, because it will ensure a therapeutic approach based on the use of ICs combined with bronchodilators and even biological drugs in a near future.18 However, we should take into account that SEPAR-ACO algorithm also encompasses patients with COPD and a current diagnosis of asthma, and it has been shown that these patients exhibit more atopic features, have better pulmonary function and they form a more heterogeneous group -from the inflammatory point of view- than e-COPD patients, including a significant proportion of subjects with a “Th2-low” pattern.19 This could be explained by the fact that the concept “COPD and a current diagnosis of asthma” relies on clinical characteristics (asthma diagnosis and smoking history) whereas e-COPD definition includes a biomarker of Th-2 inflammation. Woodruff et al. have shown that lung function improvements expected with ICs were restricted to Th2-high asthma so, it is not unreasonable to speculate that not every asthma patient will need treatment with ICs.20 However, in our opinion, it seems far too early to deprive asthma patients from ICs at the present time and the most sensible option is to maintain this subgroup under the ACO definition. Besides current diagnosis of asthma and blood eosinophilia, SEPAR-ACO's algorithm also considers a “very positive bronchodilator response” as a diagnostic criterion, since it has been published that a Th2 gene signature correlates with bronchodilator reversibility.21 However, no patient in our study was labelled as having ACO on the basis of a “very positive bronchodilator response” as a single diagnostic feature, because all patients with this characteristic showed either current asthma diagnosis or high blood eosinophilia. Recently, Sinn and colleages made an alternative proposal to identify ACO.5 If we apply their proposed criteria in our cohort, we might classify in this category 11.7% of NSA group patients, 5.6% of COPD group patients, 77.3% of the SA group patients and 12.3% of COPD-e patients. Therefore, these criteria mainly identify as ACO asthmatics who have smoked and developed a “fixed bronchial obstruction”, but they set aside most patients with eosinophilic COPD. Since definitions of ACO vary across the different studies and expert recommendations,22 the most appropriate would be the one that includes more common “treatable traits”, enabling the clinician to accurately prescribe ICs in a particular patient and, thus, providing a more personalized therapeutic approach. We have been unable to find clinical, functional or inflammatory variables – in solo or combined – capable of distinguishing ACO patients from other categories of COAD, beyond those included in the definition. This probably underscores the complexity and the great patient-to-patient variability of all forms of COAD, a fact that was already highlighted by other authors.23–25Apart from the arbitrariness of the blood eosinophil's cut-off point to define e-COPD – pointed out above – some other limitations deserve a comment. A large number of patients were receiving medications able to modify the expression of parameters like blood eosinophils and FENO (e.g. omalizumab and oral corticosteroids). In addition, we have chosen a limit of 20 pack-years of smoking exposure to define SA category and we recognize that it could be misleading, but we wanted to make sure that smoking-related inflammation is present in individuals with previous asthmatic inflammation. In conclusion, the SEPAR-ACO consensus algorithm classifies as ACO all smoking patients with previous history of asthma who developed fixed bronchial obstruction and a considerable proportion of COPD patients with >300cells/μl, but apparently the criterion of high reversibility does not identify ACO patients by itself. SEPAR-ACO algorithm has the advantage that identifies patients who can benefit from treatment with ICS. The project was endorsed by the COPD and Asthma Research Board (PII de EPOC y asma) of the Spanish Society of Pneumology and Thoracic Surgery (SEPAR). The project was funded by an unrestricted grant from Chiesi España S.A.U. LPLL and BC made substantial contributions to conception and design of the study, and analysis and interpretation of data. They have both been involved in drafting the manuscript and revising it critically for important intellectual content. MM and VP have both been involved in drafting the manuscript and revising it critically for important intellectual content. All authors have read and approved the final manuscript. The members of the CHACOS study group: Dr Juan Jose Soler-Cataluña, Hospital Arnau de Vilanova, Valencia, Spain; Dr Jose Luis Izquierdo, Hospital Universitario de Guadalajara, Guadalajara, Spain; Dr Jose Luis López-Campos, Hospital Virgen del Rocío, Sevilla, Spain; Dr Alfons Torrego, Hospital de la Santa Creu y Sant Pau, Barcelona; Dra Eva Martínez Moragón, Hospital Dr Peset, Valencia, Spain; Dr Joan B Soriano, Instituto de Investigación Hospital de la Princesa, Universidad Autónoma de Madrid, Madrid, Spain; Dr Antolin Lopez Viña, Hospital Puerta de Hierro, Madrid, Spain; Dra Irina Bobolea, Hospital Clinic, Barcelona, Spain; Dra. Patricia Garcia-Sidro, Hospital Castellón de la Plana, Castellón, Spain; Dr. Amanda Iglesias, Hospital Son Espases, Palma de Mallorca, Spain; Dr. Sergi Pascual, Hospital del Mar, Barcelona, Spain; Dra. Salud Santos, Hospital Universitari Bellvitge, Barcelona, Spain; Carmen Gómez-Neira and Dra. Irene Martin-Robles, Hospital Universitario Lucus Augusti, Lugo, Spain; Dr. Alberto Fernández-Villar, Hospital Xeneral de Vigo, Vigo, Spain; Dr. Francisco García Río. Hospital La Paz, Madrid, Spain; Dra. Sagrario Mayoralas, Hospital Universitario Ramón y Cajal, Madrid, Spain; Dr. Luis Puente Maestu, Hospital General Universitario Gregorio Marañón, Madrid, Spain; Dra. Carmen Calero Acuña, Hospital Virgen del Rocío, Sevilla, Spain; Dr. Bernardino Alcazar, Hospital Alta Resolución de la Loja, Granada, Spain; Dra. Nuria Marina Malanda and Dr. Juan Bautista Gáldiz Iturri, Hospital Universitario Cruces, Bilbao, Spain; Dr. Juan Luis García Rivero, Hospital de Laredo, Cantabria, Spain; Dra. Cristina Martinez, Instituto Nacional de Silicosis, Oviedo, Spain; Dr. Jose Antonio Ros Lucas, Hospital Universitario Virgen de la Arrixaca, Murcia, Spain; Dra. Míriam Barrecheguren, Hospital Universitari Vall d’Hebrón, Barcelona, Spain; Dr Raúl Godoy Mayoral, Dr Javier Cruz Ruiz and Dr Francisco Javier Callejas González, Complejo Hospitalario Universitario de Albacete, Spain. E.D. Bateman, H.K. Reddel, R.N. van Zyl-Smit, A. Agusti. 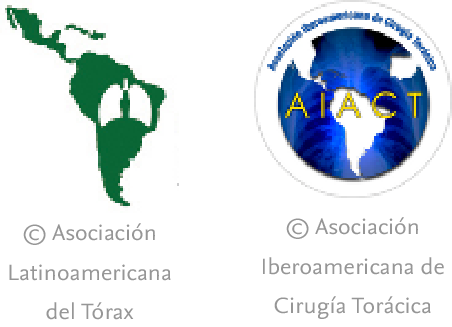 The asthma–COPD overlap syndrome: towards a revised taxonomy of chronic airways diseases?. Asthma–COPD overlap 2015: now we are six. D.D. Sin, M. Miravitlles, D.M. Mannino, J.B. Soriano, D. Price, B.R. Celli, et al. What is asthma–COPD overlap syndrome? Towards a consensus definition from a round table discussion. Diagnosis of asthma–COPD overlap: the five commandments. “To define is to limit”: perspectives on asthma–COPD overlap syndrome and personalised medicine. Global Initiative for Asthma (GINA). Diagnosis of diseases of chronic airflow limitation: asthma, COPD and asthma–COPD overlap syndrome (ACOS). B.G. Cosío, L. Pérez de Llano, A. López Viña, A. Torrego, J.L. Lopez-Campos, J.B. Soriano, et al. Th-2 signature in chronic airway diseases: towards the extinction of asthma–COPD overlap syndrome?. M. Miravitlles, F.J. Alvarez-Gutierrez, M. Calle, C. Casanova, B.G. Cosio, A. López-Viña, et al. Algorithm for identification of asthma–COPD overlap: consensus between the Spanish COPD and asthma guidelines. M. Miravitlles, J.J. Soler-Cataluña, M. Calle, J. Molina, P. Almagro, J.A. Quintano, et al. Spanish COPD guidelines (GesEPOC) 2017 pharmacological treatment of stable chronic obstructive pulmonary disease. J. Vestbo, S.S. Hurd, A.G. Agusti, P.W. Jones, C. Vogelmeier, A. Anzueto, et al. N.A. Negewo, V.M. McDonald, K.J. Baines, P.A. Wark, J.L. Simpson, P.W. Jones, et al. Peripheral blood eosinophils: a surrogate marker for airway eosinophilia in stable COPD. F. Schleich, J.L. Corhay, R. Louis. Blood eosinophil count to predict bronchial eosinophilic inflammation in COPD. U. Kolsum, G. Damera, T.H. Pham, T. Southworth, S. Mason, P. Karur, et al. Pulmonary inflammation in COPD patients with higher blood eosinophil counts. C.E. Brightling, S. McKenna, B. Hargadon, S. Birring, R. Green, R. Siva, et al. Sputum eosinophilia and the short term response to inhaled mometasone in chronic obstructive pulmonary disease. S.H. Siddiqui, A. Guasconi, J. Vestbo, P. Jones, A. Agusti, P. Paggiaro, et al. Blood eosinophils: a biomarker of response to extrafine beclomethasone/formoterol in chronic obstructive pulmonary disease. S. Maltby, P.G. Gibson, H. Powell, V.M. McDonald. Omalizumab treatment response in a population with severe allergic asthma and overlapping COPD. U. Kolsum, A. Ravi, P. Hitchen, S. Maddi, T. Southworth, D. Singh. Clinical characteristics of eosinophilic COPD versus COPD patients with a history of asthma. P.G. Woodruff, B. Modrek, D.F. Choy, G. Jia, A.R. Abbas, A. Ellwanger, et al. Christenson SA1, K. Steiling, M. van den Berge, K. Hijazi, P.S. Hiemstra, D.S. Postma, et al. Asthma–COPD overlap clinical relevance of genomic signatures of type 2 inflammation in chronic obstructive pulmonary disease. T.N. Bonten, M.J. Kasteleyn, R. de Mutsert, P.S. Hiemstra, F.R. Rosendaal, N.H. Chavannes, et al. Defining asthma–COPD overlap syndrome: a population-based study. H. Solleiro-Villavicencio, R. Quintana-Carrillo, R. Falfán-Valencia, M.I. Vargas-Rojas. Chronic obstructive pulmonary disease induced by exposure to biomass smoke is associated with a Th2 cytokine production profile. S. Khurana, A. Ravi, J. Sutula, R. Milone, R. Williamson, J. Plumb, et al. S.F. Seys, H. Scheers, P. Van den Brande, G. Marijsse, E. Dilissen, A. Van Den Bergh, et al. Cluster analysis of sputum cytokine-high profiles reveals diversity in T(h)2-high asthma patients. The members of the CHACOS study group in Appendix 1.